Image reproduced with permission of Sarah Horth from her Blog "Retromania - all things retro and vintage in New Zealand"
The following images were sent to me by Nick McQuoid, owner of the [ex] Kaimaumau Futuro, and show the Futuro being disassembled prior to it's being moved to a new location. 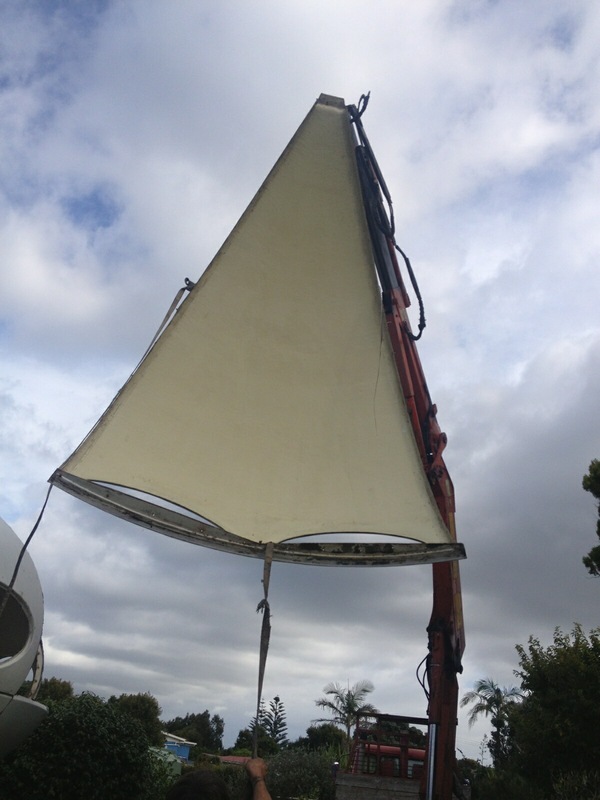 The following images were sent to me by Nick McQuoid the Futuro's new owner - thank you Nick. 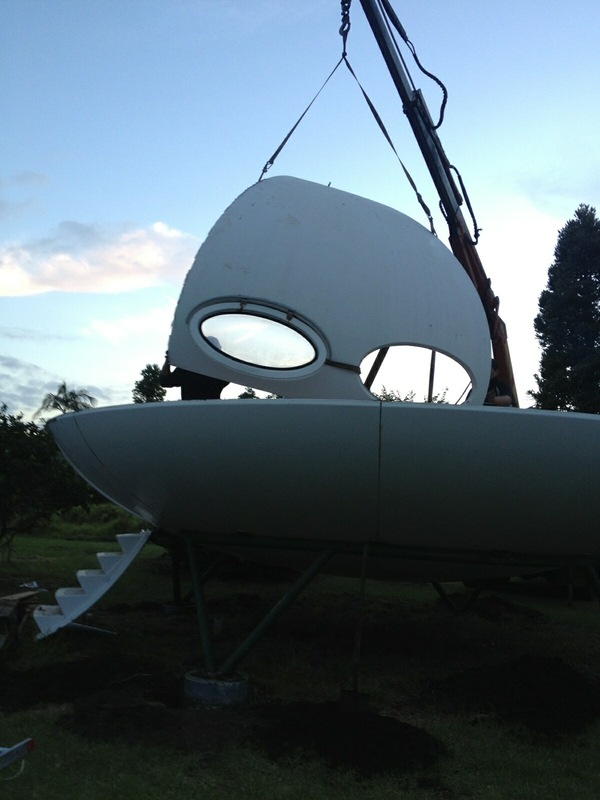 Nick has now confirmed that this Futuro has been moved to Rangiora, New Zealand; a town some 30 km or so north of Christchurch. I heard from Nick McQuoid, owner of the Kaimaumau Futuro, this morning. 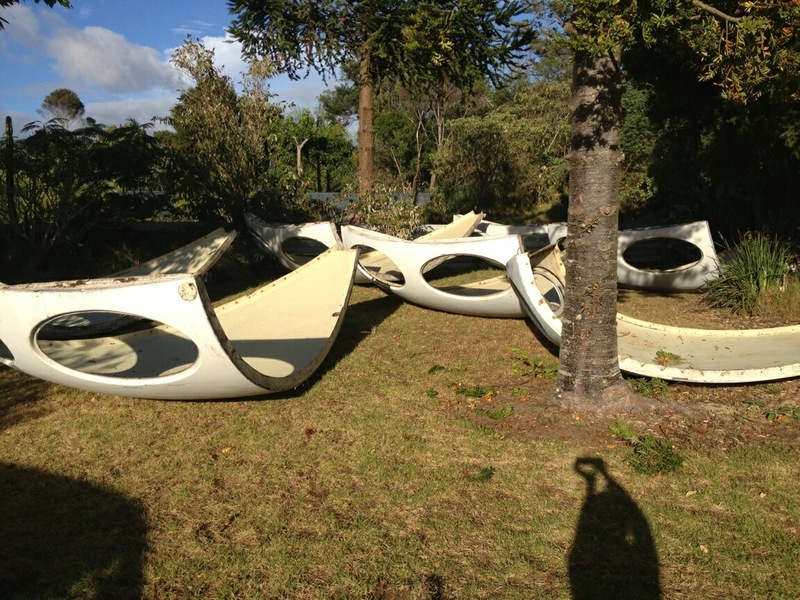 Nick is in process of relocating the Kaimaumau Futuro; I do not know where she is going but Nick was kind enough to send me some photos that show the process of disassembly. The photos can be seen to the left. Thanks Nick. Nick also kindly sent me all of the pictures you see to the left. So - a big thank you Nick - Enjoy your new home and your new Futuro. 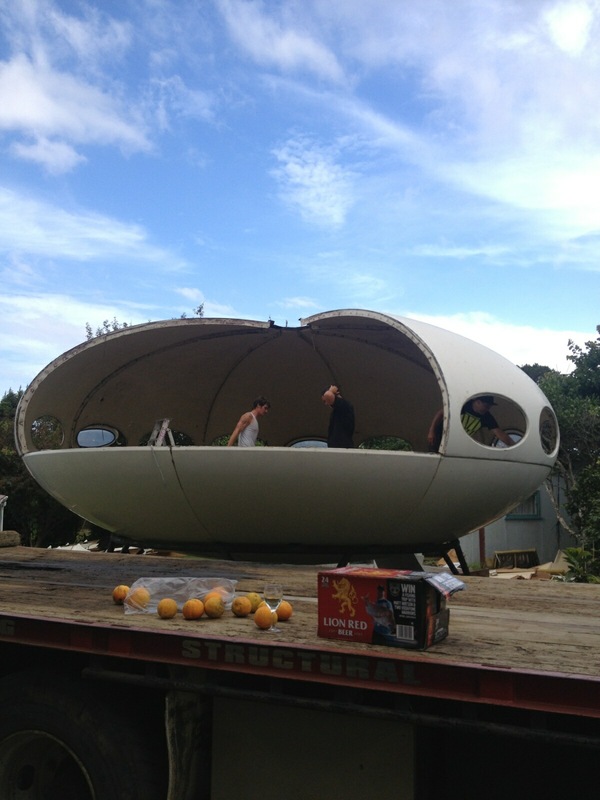 Thanks to a follow up from Sarah Horth of "Retromania - all things retro and vintage in New Zealand" I can now confirm that the Futuro, along with the house and land was a package deal. Furthermore it apparently sold within days of going on the market. One lucky buyer as far as I am concerned! Thanks so much for the additional information Sarah. Browsing the web recently searching for Futuro "stuff" I happened across the Blog "Retromania - all things retro and vintage in New Zealand" and an April 2012 post which was about a Futuro for sale in New Zealand. To be honest I am not sure if the Futuro itself was for sale or if the property upon which it sat AND the Futuro were for sale and in any case I am assuming it has since sold because the sale listings appear to have gone. "Retromania - all things retro and vintage in New Zealand"